I love scrap book papers but rarely use them for scrap book projects, they tend to get frame and hung within your walls like here and here. 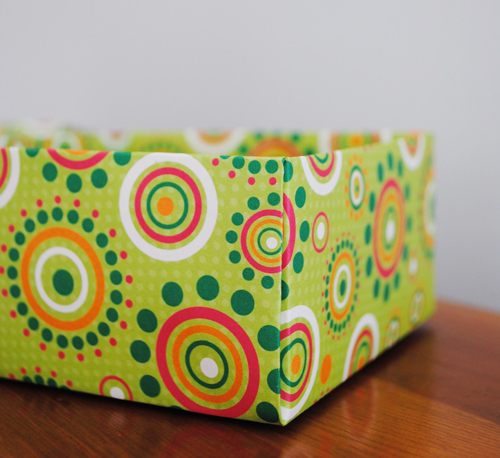 Here is another fun way to use them, home made boxes, which would work perfectly as gift boxes. 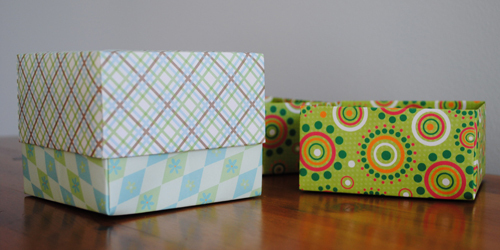 All they take are a little patience and a bit of folding …scroll down for a video tutorial. I think I will be making a few more of these in more festive papers as the holiday season rolls in. This entry was posted in Birthday Parties, Celebrate in Style, Christmas, Craft Projects, Easter, Gifts, Halloween, Paper, Trash to Treasure, Valentines Day. Bookmark the permalink. This is great and will save me so much money!!! Thank you! Nice to see a video to review how to make the box. 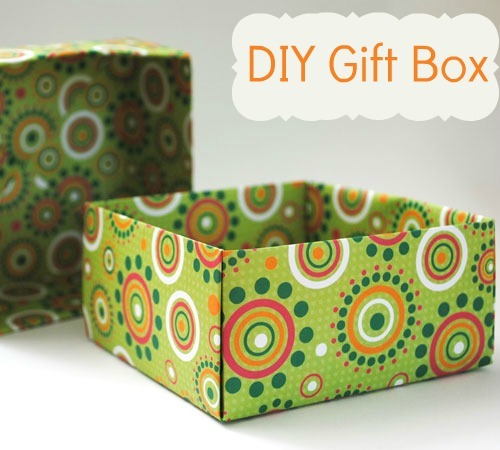 Have not made one in Years so now I can start again to make gift boxes and save money. Thank you for sharing. wow wow wow – love it! quick question though, is there a way to make the lid less wide, so its quite a bit shorter than the box? Thanks for such detail instructions – great video! 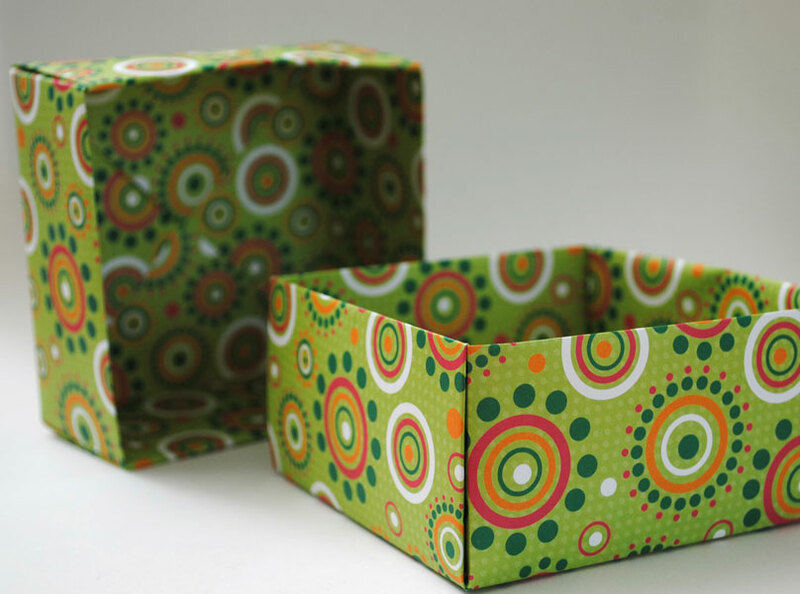 I have been making these for years but have never seen in the inside divider made .. LOVE it! 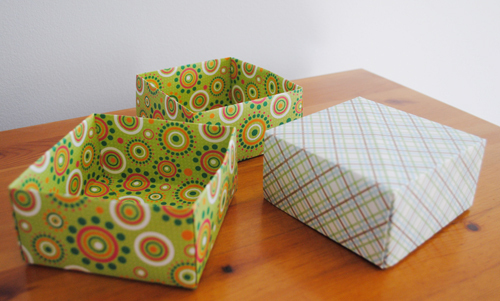 And it is nice to know how to make the larger tops, versus using smaller paper for bottoms! This is the best How-To video I have EVER seen!! Thank you! thanks Peggy…sometimes a video is the only way to go.